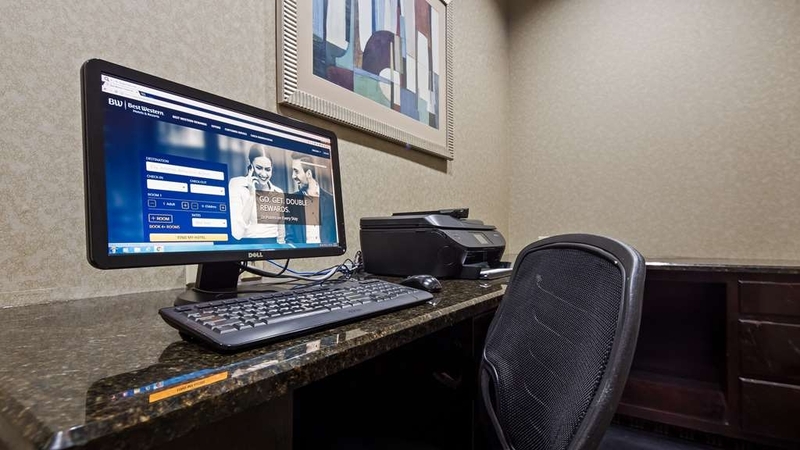 El Best Western Plus Goodman Inn & Suites se encuentra en el centro de Horn Lake. Venga y disfrute de las mejores atracciónes turísticas cerca de nuestro hotel. Precios bajos garantizados y ofertas exclusivas. Ubicado a poca distancia de las vibrantes atracciones de la zona, las sedes corporativas y los principales restaurantes y tiendas, nuestros huéspedes podrán disfrutar de una apacible estancia en este nuevo hotel de Horn Lake. Siéntase en casa en las amplias e impolutas habitaciones del Best Western Plus Goodman Inn & Suites. Todas las habitaciones ofrecen acceso gratuito a?Internet Wi-Fi, cafetera de cápsulas, nevera, escritorio, televisión por cable o vía satélite con películas en la habitación y mucho más. No olvide disfrutar de un fantástico desayuno completo gratuito cada mañana. Si se encuentra en viaje de negocios, podrá disfrutar de una productiva estancia en este hotel situado a poca distancia de Memphis, Tennessee, y South Haven, Mississippi, y a menos de 16 kilómetros de FedEx®, Medtronic, Pinnacle Airlines e International Paper. Celebre de sus reuniones en los greens del club de golf Northcreek, situado a menos de 1,5 kilómetros de distancia. Con el aeropuerto internacional de Memphis situado a solamente 16 kilómetros, los desplazamientos por la zona no supondrán ningún problema para nuestros huéspedes. Situados asimismo a poca distancia de Memphis y Southaven, las inmediaciones de la zona ofrecen una gran variedad de actividades. Desde las compras en el centro comercial Tanger Outlets y la emocionante visita a Graceland hasta los recorridos por el zoológico de Memphis o los partidos en AutoZone Park o FedEx® Forum, los huéspedes podrán disfrutar de una gran variedad de actividades de interés en la zona. Nuestro hotel se encuentra asimismo a poca distancia de Landers Center, el Museo Nacional de los Derechos Civiles, el Lago Arkabutla y el centro comercial Oak Court. Cualquiera que sea su especialidad gastronómica preferida, es seguro que podrá encontrar algo de su gusto durante su estancia en este hotel de Horn Lake en uno de los numerosos restaurantes situados a menos de 1,5 kilómetros de nuestro hotel. Los huéspedes podrán acceder a una completa sensación de relajación al visitar nuestra piscina cubierta. Entre los completos servicios e instalaciones de este hotel exclusivamente para no fumadores de Lake Horn se incluyen un gimnasio abierto 24 horas, un salón en el hotel, servicio de lavandería, un centro de negocios abierto 24 horas y estacionamiento gratuito. También ofrecemos salas de reuniones. Nuestro cordial y profesional personal, además de nuestros excepcionales servicios, le garantizan una estancia de primera en este hotel de Horn Lake. Haga su próxima reserva en el Best Western® Goodman Inn & Suites. Disfrute de su estancia en nuestro hotel. "The hot tub is a lie"
No hot tub unlike it saying they have one and hot water wait in the shower. Beds are hard to sleep on outside of that this place is nice and reasonable. I do not think I would stay there again however. Very nice hotel. Extremely helpful staff! Didn't have any problems during our stay. The room was very nice. Very nice decorated lobby and rooms. The pool area was clean. The bathroom and room was clean. The people at the front desk are extremely helpful and caring. The rooms are really clean and stylish. Heated, indoor really big pool. We have stayed here numerous times and always had a great stay. Breakfast is great and a big variety. Hotel was close to everything, but off a side road so not a lot of noise. Check in was fast and easy. Room was clean and nice. Beds were a little hard but not unbearable. Breakfast was soo good! We didn't use pool but you could smell the chlorine on the third floor, but did see kids in there. This is a wonderful hotel. The staff is always so friendly and accommodating. I stay at this hotel with my family every year and it just gets better each time we stay. They also have a very good breakfast and the beds are so comfortable. Great location safe area unlike some hotels in and around Memphis. Indoor pool, good WiFi, friendly staff and a great breakfast. Quiet location no road noise which is a plus for a good nights sleep. I had a good experience with this hotel. My family and I stayed at this particular property after traveling 15 hours around Thanksgiving...the first room we were assigned had hair in the toilet...the second and third rooms we were assigned had traces of bed bugs and lady bugs were everywhere. The front desk staff was extremely apologetic and accomodating (very nice ladies) but it was very frustrating after being on the road for such a long time! The elevator also needed some cleaning as well. I asked to speak with the manager on several occasions and he/she was never available or even attempted to reach out to apologize! "THE BEST PLACE TO STAY IN HORN LAKE!" Great people, nice comfortable rooms, excellent value! Centrally located for shopping and dining. Minutes from Memphis International Airport, the Memphis Zoo, Graceland, and gaming. Less than one mile from Interstate 55. "Very Good Place to Stay!" I spent 5 nights at this location. Very good location, close proximity to the airport, restaurants and shopping. My room was so comfortable. I felt very safe. The staff was so accomodating and pleasant. The bed slept well. The bathroom was clean and spacious. I dont have any complaints about my stay. If I were to visit Memphis again, I would definitely hope to stay here again. "Great Hotel with Excellent Friendly Staff"
Stayed here for 3 nights although a short drive from the Memphis attractions, it was an easy drive to get to Memphis. The hotel is located on a side road and was very quiet, all the staff we encountered were very helpful and friendly. The room was a good size with a firm comfortable bed, the bathroom was also clean and functional. Breakfast was included with a pancake machine, good strong coffee and served until 9 am. There are restaurants a short drive away. I would happily stay here again. The room was very spacious and very clean. It would have been nice to have an extra blanket in the room. I probably could have called and gotten one. The coffee maker in the room is dinky but for a sip of something hot it's ok. Breakfast looked wonderful......eggs!! We were always in a hurry to get on our way so did not partake. Katrina checked us in was so friendly and helpful! Hope to see her again. Each staff member I ran into was very friendly!! Stay on the fourth floor, it's quiet. Will stay here again. Breakfast server is exceptional. She knows what it means to "serve" breakfast with a sincere smile. Housekeepibg staff was also very helpful getting our item when we were ready to depart and realized that we left something in the room by accident. I have stayed at this hotel a few times before. It's located in Hornlake Mississippi, close to interstate 55 and within walking distance to several restaurants in the area. It's also less than ten minutes to Graceland. The hotel is modern and updated. Check in was good. Rooms are big and comfortable. Included breakfast is decent with some hot and cold choices. I recommend this hotel and would return to stay here again. Have stayed at several 'plus' hotels in the past and this one actually lived up to its name. Good position, set back from main road, lots of parking and quiet. Quick check in. Room on 4th floor, it was huge, 'L ' shaped room, next to emergency stairs. Super king bed, sofa, coffee table, desk area, large t.v. ,fridge and m/wave. Clean and neat. Did some washing in large laundry room, cost $1.50 for each machine. Breakfast area large, pancake machine and hot items. Better than we had at previous nights hotel. Lots of restaurants in area. The hotel is nice and in a good location. It's off the main road so there is less noise from traffic, but it is right off the highway and is surrounded by restaurants and shops. The staff was always pleasant and greeted us every time we entered or left the hotel. The stay was a good uneventful stay, the way I like it. The staff was great and accommodating!!! We enjoyed our stay and will definitely choose this hotel on our next visit! Saprina was very nice and helpful! Breakfast crew was awesome and would even come around and wait on you! They even made my husband hot pancakes! Easy to find, some construction getting of interstate, nice, clean and the staff was great. Unfortunately I am horrible with names, she had a great attitude and helped with dinner suggestions (Memphis BBQ). Great personality to run into. And the bed was fantastic. 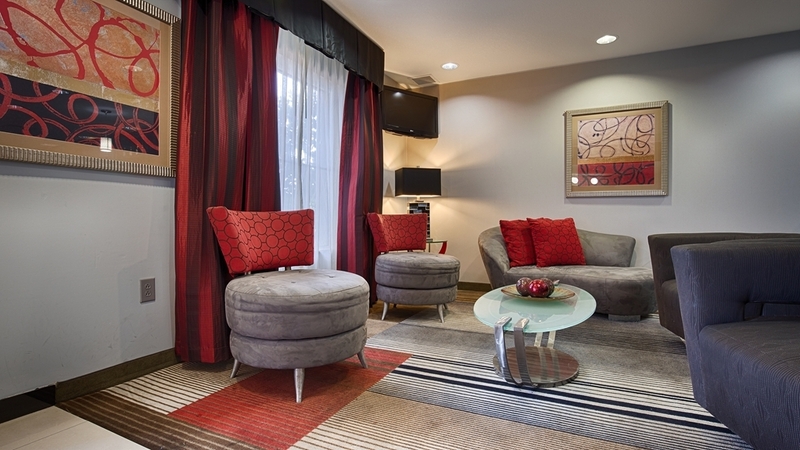 "Great hotel, a cicada sound experience"
This is a great hotel with a great staff. Everyone on the staff was very friendly and helpful. the breakfast was good and displayed very well. The cicadas in the back wetland area of the property were always loud, but could only be heard when we were outside. Our room was on the back side of the hotel with a view of trees and greenery in the wetland area. We decided to come up for Labor Day to go shopping. We found this hotel at the last minute and I am glad we did. The staff were so friendly. The hotel is very nice, quiet and clean. Breakfast was good. The staff at breakfast were super. Would love to come back. "Everything is excellent at this hotel!" The hotel room was very clean, and the breakfast was one of the best breakfast I ever ate at a hotel. Also, Shakedia Jackson, Juanita Carter, Jerry Surprina we very nice and made my stay the best it can be. I would recommend this hotel to whoever needed a hotel in this area. "A good value for your trip"
I would have given them a 5 star but the Hot tub has been removed and the swimming pool was cold. Beside the pool issues I had a great stay. staff is friendly and helpful. The breakfast was good every morning. Clean eating area and well presented. "Great stay over two nights"
We were here on our way to Nashville,great stay, Very clean,smelt good. Breakfast good fresh food well presented. Staff were amazing very friendly.Bed exceptionally comfortable ,slept really well. Be plus has set a new standard for us will be staying again. Well done would love to go back. We stayed here on our way home from Florida. We've stayed here several times and have always had a friendly staff person to greet us! This time was no different. We arrived after 10 pm. Our room was ready. We had a king room and it was large! The bed was comfortable & the bathroom was clean and well appointed with the necessary items. The breakfast was delicious! It was very busy and the desk manager, Katrina, jumped in to help the breakfast staff. So nice to see teamwork! Katrina is friendly and went out of her way to be helpful. You are lucky to have her on staff!! Thank you again for a nice visit! We will be back when we're traveling again! Well done! "It has problems, but ..."
Let's get the bad stuff out of the way first: When we arrived, the elevator was out of service. Fortunately we had a room on the second floor. Unfortunately, when we came back after dinner, our air conditioner wasn't working and they had to move us up to the fourth floor. I'm not as young as I once was (who is? ), and I can't say that I enjoyed schlepping our stuff up two more flights of stairs. My son reported with disappointment that the "spa" was out of service (I assume he meant the hot tub, but I wasn't interested enough to ask), and breakfast wasn't very good. And apparently the computer in the main office was malfunctioning. But there were some positives here, and some hopeful signs for the future. The woman at the front desk during most of our stay was very helpful. She couldn't fix the elevator or the air conditioning, but she tried very hard to find someone who could, and she tried valiantly to arrange work-arounds. And extra towels appeared almost as soon as we asked for them. More to the positive: The hotel went under new management the day before we checked in. We talked with the new manager (a member of the owner's family) when we checked out, and he told us that the hotel was spinning into chaos when they took it over, and they were going to revamp, well, everything. And the place did seem to be a beehive of maintenance activity as we departed. The new manager appeared to be on top of things. So, while I might have expected to rate the hotel "poor," I think it's on a positive trajectory. I won't rate it "good" in hope of that result, but I fully expect it anyway. But for now, it's a work in progress. Very clean well presented motel. Close to gas stations and food and only 15 minute drive to Memphis. Room was larger then normal BW motels and the quality of the beds were excellent. Service was very good. "There for Dizzy Dean Baseball Tournament"
My hotel stay was great! All staff was kind and courteous, especially Sabrina at the front desk. When walked in she gave us a smile a big "welcome to Best Western!" Great customer service from everyone from the ladies who cleaned the rooms to the ones who prepared the breakfast. My husband and I reserved a jacuzzi room for one night. When we arrived at 3:30, we were told check in was at 4. We left to earlt and came back around 5:30. There was a long line at the front desk and only one clerk working. We waited approximately 20-30 minutes before we were able to check in. We located our room and I noted that the king bed had a sway in the middle. But the rest of the room appeared updated and nicely appointed. Later, we attempted to use the jacuzzi but had only been in the tub about 15 minutes when the front desk called and asked us to ‘get out of the tub right now or you may fall through the floor as the tub was leaking into the kitchen downstairs'. The clerk apologized but said the other jacuzzi room was booked so there was nothing they could do that night. The clerk stated that the manager said that we would be completely refunded. The next morning my husband complained that his back was hurting from the swayed mattress. When we went to breakfast, there was a 50 gallon trash can in the middle of the dining room catching the water that was still leaking from our room. When we checked out, we were assured that we would be refunded. Many phone calls and weeks later, WE HAVE NOT BEEN REFUNDED. I called the corporate office and they contacted the hotel on my behalf. The management BLATANTLY LIED and stated that we were never told that a refund was offered. I travel frequently BUT WILL BEVER STAY HERE AGAIN. MANAGEMENT HAD NO NEED TO LIE!!! Please chose another hotel. They do not deserve HONEST CUSTOMERS! The room was nicely decorated and extremely clean. The staff was very helpful with everything. We thought the pool would have stayed open later on the weekends, but it does not. There were SEVERAL different sports teams there that we saw at check-in but we never heard a peep and got a restful night's sleep. Great hotel. I will reccomend to others clean rooms. Great helpful and courteous staff. Great central location to Memphis. The beds were comfortable. My family and I were there for Memphis in May. It only took us 10 minutes to get there from the hotel. Thank you, For your wonderful review. We look forward to welcoming you again soon. "Best stay @ Best Western"
Wonderful stay. Everyone was very helpful & Friendly. Had terrific water pressure & plenty of Hot water. Room was quiet and peaceful. Nice choices for Breakfast & Manager went out of her way to suggest places to go & eat. We were very happy all 3 nights we were there & plan to come back. Thank you for your wonderful review !! We love our guest and look forward to seeing you again very soon !!! Booked through a discount arrangement so I was pleased with the rate. When I first checked in the room I was given had not been serviced from the previous guest. A trip back to the front desk took care of the problem by giving me a new room. Staff was very friendly and helpful. Great location, very quick to/from the airport. Comfortable, quiet, great rooms and staff. Has the look and feel of a brand new facility. Next time I'm in the Memphis area this is where I will definitely stay. Hello Chris, Thank you for staying with us here at the Best Western Plus Goodman Inn & Suites. We look forward to seeing you again soon ! Very nice hotel with outstanding service. The front desk staff and the breakfast staff were friendly and polite, and the manager was amazing. She continuously went out of her way to make sure we had everything we needed. The pool was warm and there were plenty of good options for breakfast. I would definitely stay here again! Thank you for your recent stay at our Best Western Horn Lake. We love to hear you enjoyed your stay with us. Please come back soon and Thank you for being our guest. Everybody we encountered was very helpful and kind. Breakfast was good. Rooms were clean and appeared to be well kept. Good location with lots of parking. Pool and hot tub seemed to be well maintained. I would definitely stay here again when back in this area. Thank you for visiting us at Best Western Horn Lake. 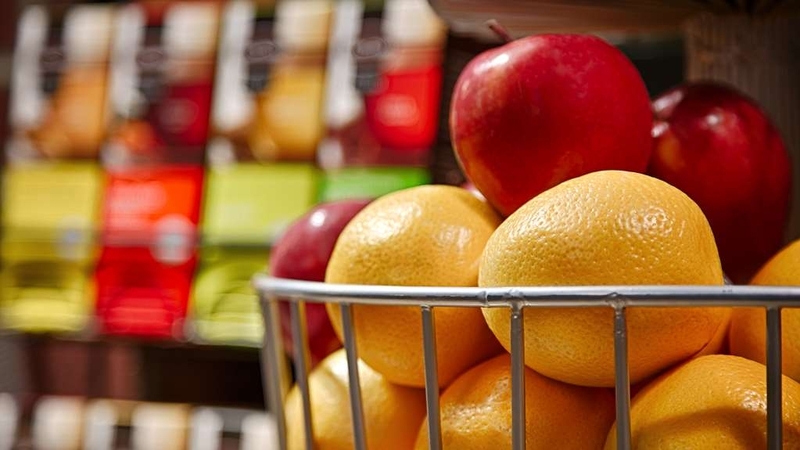 Our number one goal is to make sure you have a enjoyable experience here at our hotel. 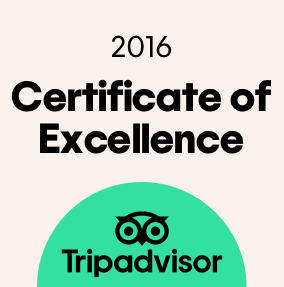 Your positive comments are very important to us here and help to ensure you next experience is just as good or better than your last visit. we look forward to welcome you again very soon ! "Keys did not work twice." Minimum problems only. I had to ask twice for keys replacement because the keys were not working. The temperature of the room was too cold for me. All the other amenities were fine. I would recommend this hotel to everyone because it is comfortable, and itr has an excellent breakfast. We would llike to thank you for choosing Best Western Plus Goodman Inn & Suites for your recent stay in Horn Lake Mississippi. We are happy you enjoyed your stay with us and are looking forward to welcome you again soon. It was only for a single night, but very pleasant person at the front desk checked me in efficiently & had my room available a little earlier than the 3pm check in time - greatly appreciated as I wasn't left hanging out in the lobby. Appeared the hotel had recently been renovated. Bedding was nice & bed very comfortable. More than the usual options at breakfast. Overall I thought a good value. Thank you thetraveler033, For choosing to stay with us here at Best Western Plus. We love to hear your feedback and use it to review and improve our services every day ! We look forward to welcome you again very soon . Very reasonable place to stay and very nice. Pool was warm, hot tub nice too. Breakfast was ver good. Beds comfy and room very nice. Loved our stay. Great staff that went out of their way to make us feel important and comfortable. Dear Nana121315, Thank you for visiting us at Best Western Plus. 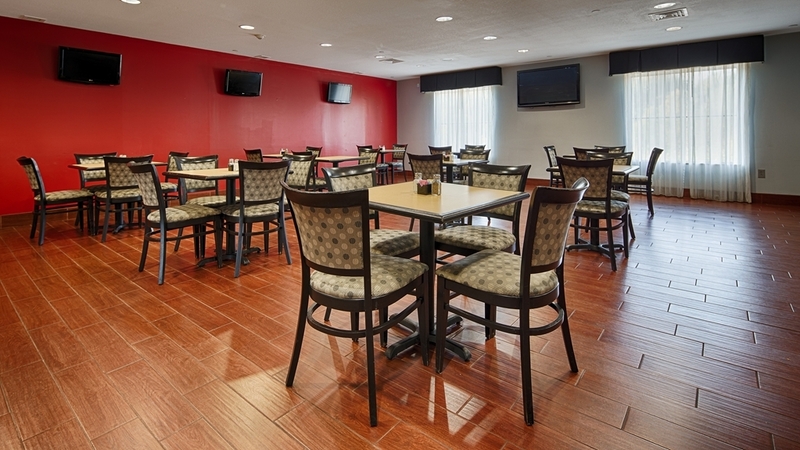 Our hotel is devoted to providing excellent services and amenities to all our guest. We are so happy you enjoyed your stay with us. we look forward to welcom you again soon . "The WORST Experience in Recent Memory"
Where to begin......wife and I stayed here for one night while en route back home. BAD decision. Really bad. Let me enumerate the disasters associated with this stay: 1) The young woman who checked us in was hopelessly incompetent. She was alone and clearly lacked even rudimentary training. Check in took 22 minutes. 2) The heater (HVAC) did not work in first room we were given. 3) I found a Kleenex tissue (no, it wasn't a dryer sheet) between the sheets in bed of the second room that we were given. This indicated to me that the sheets were NOT changed after the last guest and that the bed was simply made up 4) There were black hairs all over the shower. 5) There was no hair dryer in the room. 6) The hot breakfast was terrible and largely inedible. The eggs, sausage and biscuits went straight into the trash. Fortunately, they had yogurt and cold cereal. 7) Despite the fact there were three people behind the front desk at check out, it was only marginally better than check in. All in all, a TOTAL disaster and waste of resources to stay here. I wouldn't recommend this dump to my worst enemy. We loved this hotel, the people were so friendly and helpful, everyone went above and beyond to make sure our stay was a good one. Everyone from the manager, whose name was Kimberly to the housekeeping staff, to the lady that fixed the excellent breakfast. Also we were very impressed with the cleanliness of the hotel and the decor, and you can find just about any kind of restaurant or shopping near this place. "My stay at Best Western Plus Goodman Inn"
I strongly recommend this hotel! The staff and Management was very helpful and friendly!! The facilities are clean and they serve a real Southern hot breakfast with meat and eggs not just bread and cereal!! By far the Best Hotel on the strip!! and reasonably priced too! You can't go wrong with this one!! "My birthday was ruined! " I booked this hotel a few weeks in advance for my birthday. My friends had purchased tickets for the hockey game. I loved the ability to get to the game in just a few minutes. Unfortunately, after checking into the hotel, the room I was assigned smelled awful! The air conditioner was near the window like a cheap motel. I had to control it in the actually air conditioner. There was no bed ruffle around there bed making it an eye sore. It made me feel as though I was at a cheap hotel. There was a wad of paper stuff in the credenza to ensure the cabinet door would stay shut. This was totally rigged and something a struggling college student would do while in college. Upon returning from the game, I immediately took a shower. There again, there was no hot water. I sent my BF down there to take to the front desk. At 2am, we ended up having to move to another room. This room did not smell “as bad” as the first one. I had hot water so that was definitely a plus. The one thing about this hotel was the fact that they gave me a late checkout and I could checkout whenever I was ready. I was going to the Orpheum and the play started at 3pm. So I checked out at 2:15. This was probably the best part of the hotel. Would I return here? No definitely not. Would I recommend? No definitely not. It definitely needs some serious improvements. The staff were great and accommodating, however the hotel itself was not worth the money I paid. I could have stayed at a Motel 6 where there is outside entry instead of inside. I was extremely disappointed. "Best value in Memphis area"
This property needs a lot of TLC. Many maintenance issues that staff cannot attend to during your stay. How it has a PLUS rating with Best Western is NOT good for Best Western Corporation. Staying here will likely leave you very dissatisfied with Best Western. We have stayed at this hotel numerous times before and have always had a great stay. This one was no different. Ronald checked us in and was very friendly and helpful. My mom had reserved a mobility accessible room and was on the first floor; my reservation was on the third floor but Ronald helped me out and was able to get my room right next door to hers!! He was sure that I got my BW rewards snack and drink on check in and allowed my mom one as well ! The hotel is off in a quite area but still very close to shopping and I55. Breakfast was good and offered sausage, ham, eggs, sausage gravy, two different flavor of waffles you make yourself and much more! It was always well stocked and hot! We will stay again! Promised housekeeping would come to clean bathroom and bring extra towels /shampoo and tv channel listings . Went to front desk to ask as well as called . Finally at 8:45 pm clerk said he had no idea if/when housekeeping would come in. The on duty manager was not going to be at the hotel until Monday . Dirty rooms, broken chair in room, bed felt worn out, dirty sheets, shower never got hot, no remote had to go down to the front desk for one and they got me one from another room. Treadmill broken in "Fitness" area. Cold coffee and breakfast are was dirty. "Final Walk Through of Event Room"
Firstly, let me state that the service for reserving the room were courteous and professional at each time. My complaint that I have is with the front desk clerk name Sharon who works in the evening. My event was on Saturday from 3-6 p.m. To retain your deposit the room, counters, and trash must be taken care of as part of receiving your deposit back. Sharon, myself, and a trainee did a final walk through of the room. All of the trash was disposed of from the kitchen and inside of the event room. The counters were free from trash and wiped down. The floors was swept throughly as well. I asked her for trash liners to replace those that were taken and she stated that they didn't have any to give me and that would be fine. Upon finishing the inspection she stated to me that if I paid with cash a check would be furnished for the return deposit. Also, she stated that the individual who writes the check would not be in til Monday. I got her name but I failed to take pictures of the room that was cleaned by me and my guests. Because there was another event to take place after mine. Forward to today, I'm greeted by the courteous and professional young lady that I dealt with to reserve the room. She stated to me that I would not be receiving a deposit due to the room left with garbage cans full of trash and counters being dirty. If this was truly the issue why was a final walk through inspection done. I really need for management to roll back their cameras and show between the hours of 6-7 p.m. what we were doing and what did she inspect.. This venue has always been nice but to deal with someone who is not doing their job effectively is a negative eye sore. ALWAYS TAKE PICTURES, SO YOU CAN GET YOUR DEPOSIT BACK. Sharon did not do her job effectively for me. We had a reservation for three nights. We checked in on Wednesday evening about 7:30pm. We had called from the airport to confirm our reservation. We were put in a Handicapped Accessible room. There was a large spa tub in the room. The TV did not work, an error message on the screen indicated that the remote was not programmed for the TV. The bathroom had a hand held shower that was not adjustable. There was no exhaust fan, just a hole in the ceiling.The bathroom had 3 hand towels, but no bath towels. I went to the front desk to ask for some bath towels and was told they didn't have any, but would wash and dry some and send them up. I took more hand towels because I didn't want to wait for laundry to be done. The next morning we asked for a different room. We removed all our belongings and were told we could have a different room after the 4 pm check in time. We were back in the evening and were given a different room. The second night was fine. We left the next day about 11am. We returned at 8pm and our room had not been serviced. We asked the front desk why we did not have our room serviced. The clerk said we had left the do not disturb sign out. (We hadn't.) The workout room did not have towels or a working TV. There was trash in the stairwells that was there for the length of ou stay. There was broken glass outside one of the side doors. I arrived late in the evening as I was traveling from Leland, Mississippi to catch an early flight out of the airport in Memphis, Tn. The receptionist was very nice. She provided a small map of how to get to the airport as well as information about travel time. Since my flight left at 6:35 am, she went ahead and gave me a to go breakfast bag since I would miss breakfast in the morning. She was very helpful and provided excellent customer service. The hotel had been through a remodel and I actually thought that it was new. The color scheme was terrific! The room was spacious and very comfortable. Can't beat the quality for the price. Would definitely stay here again. We stayed at the Best Western Plus during Elvis week. The room was very nice, although a bit small and quiet. Took a while to figure out the tv changer as there are a lot of channels. Housekeeping did a great job each day. Bathroom was large and always clean. Breakfast was plentiful with eggs, sausage, waffles, etc. It would of been nice to take our breakfast to our room in the morning, but sign said no food was to leave the breakfast room therefore we only ate in there once during our stay. Front desk staff were always friendly. Only 1 elevator, for the building. Plenty of close up parkiing. Very nice visit. "This visit ended up ruining our entire summer." This was our fourth year to stay at this hotel. The first three were great. Rooms were clean and fully supplied. They even baked cookies in the afternoon!. This year not so good. When we checked in the desk clerk never greeted us. We were traveling with another couple. When we got to our room it was not clean. Went back downstairs and was given another room. The room had only 2 bath towels, 2 hand towels and 2 wash clothes. No shampoo. We were told later that they were out of shampoo. We travel a lot and I have never been in a hotel room that did not have a quest directory in the room. This one did not this trip. Breakfast was okay, problem with waffle machine. We went back to our room to gather our luggage and check out. As we got off of the elevator in the lobby, the maintenance man was mopping the floors. There was literally water on the floor and no way to go around it to get to desk or front doors. My wife slipped and went down injuring her hip badly. The maintenance man finally came over and helped me get my wife up. I got her over to a seat. The desk clerk never came out from behind the desk. She finally did asked if we wanted her to call 911. We got her in the car and took her to hospital. Hip not broken, but 4 weeks later she is still on walker and having to do physical therapy. HER insurance has paid for everything. WE HAVE MADE A COMPLAINT TO BEST WESTERN CORPORATE,BUT THE HOTEL WILL NOT EVEN RESPOND TO US. Ruined our vacation and our friends and THE REST OF OUR SUMMER and we cannot even get an I'M SORRY. "Housekeeping staff did an excellent job!" When I was given my room it was clean and comfortable. Throughout my entire 7 night stay the housekeeping staff did an excellent job of keeping my room the same way it was when I checked in! I spent days visiting my mom in a nursing home close by and always came back to a clean room, bed made, clean towels. They were all very friendly too! Very nice hotel. Our room was very clean and the beds were comfortable. Everyone on staff was very kind and helpful. They made sure our points were added to our Best Western rewards. They even offered us free bottled water. The breakfast was fine. We enjoyed the blue berry waffles. We will be back. The pool area needs a update. The tiles were slipper, broken. The pool is indoors and was cold the heating system was not working proper. There were no towels in the area to use. The hot tube was as cold as the pool. Made it hard for the kids to enjoy and the adults would not get in. The only major issue was the AC in our room wasn't working properly. The other issue we expedited was the remote/tv above the jacuzzi in our room wasn't working very well. Seemed like it had a short in it probably from previous guests getting it wet. We did not report either issue so I can't rate how well they responded to the problem. "Good price for a BW Plus"
First impression walking in was positive, second impression talking to the clerk changed that. First place I have had that they want your driver's license to make a photo copy and it seemed like I was interfering with her day. Won't stay again just for that reason. Now the room was very nice and the bed was great. Convenient to many different dining options. I did worry a bit about the security of my motorcycle parked in the lot overnight. Very nice Hotel with excellent customer service and wonderful Breakfast buffet. I would recommend considering this Hotel when traveling to Horn Lake, MS, summer, winter, fall or spring, great location for anything you need or want to do. We actually just used this hotel as a halfway point to get to new Orleans. We were very pleased with the appearance and order of the hotel. The staff was very welcoming and didn't mind taking the time to break down where everything was and how it worked. Even though we basically used it as a rest stop for the night we would definitely recommend it. I reserved 2 rooms through a third party site and was automatically given king beds. We needed double queens for our group, and the hotel charged us an extra $20 per room to ensure we got 2 beds (even though the price difference on their own site is $5 between king and 2 queens). At check in, the clerk said that there wasn't a manager to discuss it with, even though one walked by right after I finished checking in to let her know to charge any walk-ins rack rate. We were on the 3rd floor, and heard every single footstep above our heads all night. The down button on the 3rd floor didn't work. You had to go up to 4 to come back down. My husband asked a maid for a couple of towels, but they were never delivered. After checking out, my mother in law realized she left her bag of medication in the room, so I called the hotel a few times that night to see if they could help us track it down, but never got a call back from them. Luckily, we were able to stop back by the next day and retrieve it ourselves. I would not consider this a 3 star hotel. The bar area at the front was abandoned, looked like it was just for show. The hot tub was barely hot. The breakfast was decent, though. This was the first hotel I've stayed at using this particular 3rd party site that I felt didn't live up to the ratings. We had to wait nearly an hour to check in because the clerk locked herself out of her computer and her manager wouldn't answer then phone to give her the password. After a long day in Memphis with kids in tow, we just wanted to go to our rooms. In the meantime, they had a disturbance at the hotel, the cops were called and they had a big ordeal in the lobby and the covered driveway. Once we got to our room, they had mold all over the bathroom, the ceiling, a/c unit and the room was terrible. There we go again with kids in tow back downstairs to get another room. The area seemed a little sketchy and there were little to no lighting in the parking lot, this made us feel very uncomfortable. After all of this, we though about maybe grabbing a drink in the bar and heading up to our rooms...the bar was not open. Like, never opened, not stocked, no bartender, no license. The general store area was horrible too, they were purchasing items (toiletries, snacks, etc) from the local gas station and reselling them, disgusting! "Good Price Bad Fitness Room/Pool"
After weeks of staying here and complaining to the workers and managers nothing ever gets fixed. Management is a mess and none of them care about what's wrong with the facilities. This place has the potential to be really great but it just needs some work. We chose this property for the location and the amenities. Upon arrival there were 2 people working the front desk, and as it turned out they were also supposed to tend bar, check in guests and help solve problems. We had trouble getting our tv to work, so one of them had to come up and show us what we were doing wrong. The room could have been cleaner, we never did use the lobby bar, and overall the whole experience was disappointing. The pictures on the hotel website looked nice and reviews were good. I'm not sure if we just caught them on a bad day or not, but our experience definitely left room for improvement! DO NOT STAY HERE. The rooms are filthy. Pool area is very dirty with dead bugs and bees all over. Bathroom in pool area out of order. Hot tub doesn't work. Rooms are not clean. Dusty, fingerprints everywhere, shower curtain stained, floors dirty, Gina of dust and who knows what I'm all corners. Elevators don't appear to have ever been cleaned. Very disappointed. 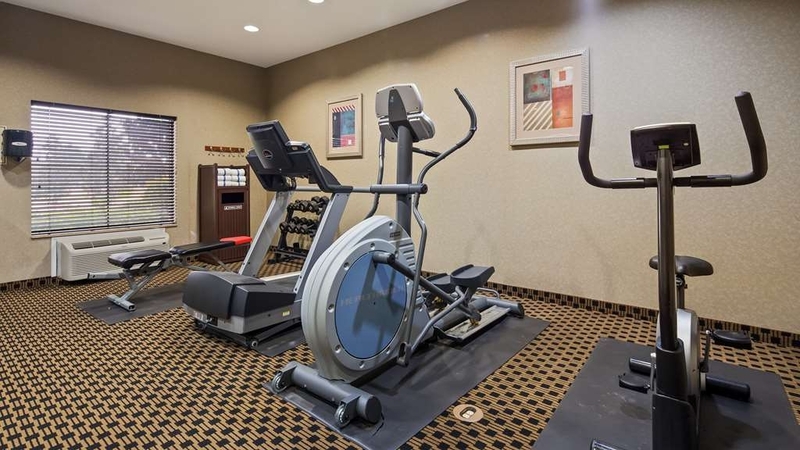 Great hotel Great location for our project in southaven, Ms. Fast check in.The staff was delightful and professional.We will recommend and stay here again.Breakfast was really good and the rooms were clean. This is a great hotel. Clean and comfortable and an excellent price!! I was staying here for a getaway night and found everything to be better than expected. I was very pleased with the overall experience. The breakfast food quality was very poor. Limited selection and the hot food was the same every morning. The printer in the business center did not have ink all week and most nights failed to connect to the printer. I advised the desk staff both in the evening and day shift and they just seem to blow me off. Printer did not work all work. We just stayed here for one night. Check in was quick and easy. Room was big and clean. Good location with restaurants and other businesses close. We didn't try the breakfast. Overall a nice place. I would stay again. I was in town for a one night stay with my coworker. Room was clean. The service was courteous. Overall the hotel was updated. Showing just a little wear and tear. I would recommend it for a short stay in south haven MS.
"Not Best Western "Plus" Quality"
This whole experience started the day before arrival. After having made a misjudged decision on a room choice I called the hotel and spoke with David Jefferson who very obligingly helped with a room type change. The desk clerk on duty upon arrival, Anna, seemed to be more interested in working her cell phone than waiting on paying customers. When finally getting her attention she stated early check-in (2 hours) was not available, which was fine. Coming back 90 minutes later she stated again that early check-in was not available unless I was a Diamond member, however she did complete the process and we got the room keys. Having been on the road for a week, we had laundry to do. When inquiring at the front desk about getting change to operate the washer and dryer we were told that they weren't able to do so. Seriously? We walked next door to the neighboring Circle K and got the change. The washing machines seemed to work okay but the dryers swallowed the money and did not start. Along comes David Jefferson to the rescue again to work his magic. The general condition of the room was pretty sad. Stained carpet, stained chair and ottoman, stained and much worn sofa, where we actually used the spare blanket as a sofa covering, cracked and broken lamp shades and a very dysfunctional set of directions on how to operate the cable channel selections, not to mention that the ice maker on that floor was not operating. When questioned about that the reply was that it was scheduled for repair. In my humble opinion, (other than the helpfulness of David Jefferson), if this is what the new standard is for a Best Western “Plus” rating”, I'm rethinking my brand loyalty. CLEAN CLEAN CLEAN....very friendly staff and the rates are extremely reasonable. 10 minutes from lots of restaurant and not for from Graceland at all. I'm very pleased with this hotel and its staff. I'll will be booking here again for sure. This is a good hotel for a reasonable price. Clean rooms and staff was very friendly. Indoor pool and jacuzzi. Hot and cold breakfast choices. Very convenient to shopping and restaurants, sit down as well as fast food joints. "Not all it's chalked up to be!" Arrived at the hotel for a 3:00pm check-in. Informed by the desk clerk that the rooms were not ready for check-in. Asked if she had any idea as to time the room would be ready. Not too enthusiastically stated that she had no idea. After 20 minutes of waiting another clerk informed us that the room was ready. Average room with no frills. The hotel only has one elevator that is super slow. My husband and I enjoyed our stay at the Goodman Inn & Suites. The room was clean and the bed was comfortable. The bathroom was good-sized. Wifi worked well and the TV was hi def with quite a few channels. There was very little street noise or noise from the hall. The staff is excellent and very helpful. The continental breakfast was above average with a number of hot foods to choose from. And there were cookies in the lobby when we checked in, which always raises a hotel rating in my opinion. My only complaint is that the lighting was quite dim, which made it somewhat difficult to read in bed. "Best Staff I've ever encountered"
The staff at this property from the front desk clerk, to the cleaning crew and the breakfast room crew were probably the best hotel staff I've had. It made up for the not so great furniture in the room although the bed was comfortable. "The best experience I have had"
I had in hotels regularly for my work. This hotel is the best hotel out of 4 other I habitually use. This hotel has a wonderful staff, the rooms, halls and lobby are clean, the rooms are nice and large with comfortable bed, the hotel offers a nice, hot breakfast. The staff was very friendly and responsive. The breakfast was fresh and free. Got prompt service from with any issues. The rooms were clean and refreshed daily. There were plenty of restaurants and shopping within walking distance. This is an older hotel. It is evident that updates/upgrades have been made but the hallways of the floors with rooms always smell damp and musty. Every time I stay there is a 50/50 chance I have a room that was previously smoked in. The beds are super plush with kills my back. The staff was very polite and professional. The breakfast offers lots of variety of hot and cold foods. It's a great hotel. The price is a little high but if you want the extra stuff, you got to pay the extra bucks. The location was very easy to get to off of the interstate. The hotel must want to waste my time by asking for more characters to be typed than what I want to type. This location has a hot breakfast that is available daily. Beds are comfortable and the TV's are new. Comes with a nice size refrigerator in your room. Several restaurants within a mile to pick from. I've stayed here many times for business, rooms are pretty good. Clean guestroom, comfy beds. That is all I needed. Internet was good. Breakfast a little behind with refilling items, but good. One unhappy moment- needed to use lobby restroom and it was covered with something very sticky on floor and sink- a spilled drink? My feet actually stuck to the floor. I reported it and it was the same in the morning. No Pack n Plays available. Had a great night's sleep once in our room. We arrived right at check in time and our room wasn't quite ready. When we got our key, it didn't work. We eventually found out that our lock was dysfunctional and we were given another room. Our room was clean and comfortable. It was quite hot and the a/c worked great. I would stay here again. I booked a room for four nights. On night three we had know hot water . We were advise a comp would be given was not worth the thinking about. Ask to speak to management refuse to speak to me. The photos on the web site great. The place needs a good cleaning .A ink pin remained in the hallway for my entire stay.They are passing out cards stating vote for us on Trip Advisor and get %20 of your next visit which will be never. The carpets need a through cleaning. The pictures on line are not reflect of what you will find . Please consider some where else to stay. Nice place to stay.Close to everything. But very quiet.Staff was very helpful and nice. Breakfast was always ready and filling. Would stay here again.Indoor pool was a little loud and very humid but still nice to have. "Ok for a night "
Arrived here after a full day of driving. Friendly staff, newly remodeled, decent area, breakfast was ok. The gravy ran out early and wasn't replaced. Sausage and bacon ran out quick and weren't replaced. The room was clean and nice but I found a hair in the tub. Probably won't come back. Stayed here for a trip to Memphis. Clean, comfortable, friendly, convenient to Hwy. 55 and Hwy. 51. Great area, lots of shopping and restaurants. Staff could not have been better. Jenna was most helpful on the phone before and during our visit, and Naomi displayed exemplary customer service even hours after we checked out. I would recommend this hotel to anyone visiting the Memphis area, and plan to return there myself. Facilities were clean and staff was friendly and helpful. The breakfast was delicious. Beat Western Plus Hotel was good and the stay was good. That all I have to say ok. I'am being honest, and that ENOUGH OK, I'am tired from my trip from Jacksonville, FL. 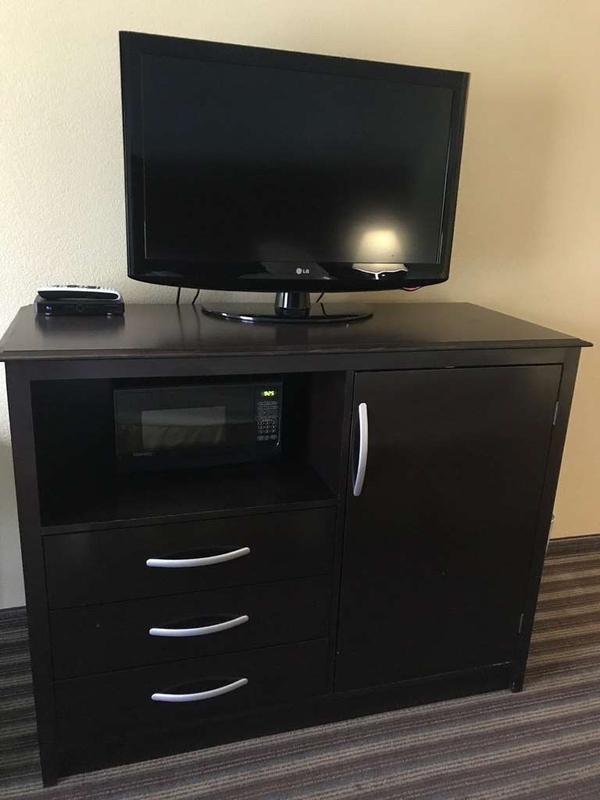 "My go to hotel in Horn Lake." This is my go to hotel when I am in this area. Far enough away from I-55 so you don't hear traffic noise. You can hardly hear the airport traffic also. I wish that you would give a TVA corporate rate for business travelers. Hotel staff are always very helpful and polite. "Horror in Horn Lake (5/27/16 - 5/30/16)"
Horror from check in to check out... I made reservations and had a contract written up between my travel baseball team and Best Western to have 10 rooms blocked off for myself, my players and their families. The contract was written up by management back in February 2016. I personally arrived at the hotel with my family on 5/27/16 at approximately 6:30p.m. only to be told that my room was not ready for check in. Keep in mind that I am traveling with my wife, my 10 yr old, 3 yr old and 1 yr old. Therefore after a 3.5 hour drive to Horn Lake my toddlers are ready to whine down and get out of their car seats, get settled in and get comfortable. Nevertheless we finally get checked into our room at 8p.m.(unbelievable). The girls at the front desk were very unprofessional and acted as if they did not want to be there and had expressed all the madness that had been going on amongst staff such as staff members calling off that day, not showing up etc. I stated that I understood, however that is not an excuse when your company is a global chain. That simply just doesn't cut it in the business world. Oh before I forget and on a positive note, I can say that the hotel is clean, modern and the breakfast was good, but I tell you their management and service is awful especially the breakfast lady/cook, she just has a nasty attitude and tone and it's apparent that she does not know the meaning of quality customer service and good hospitality. Leadership starts at the top and the management staff there could use some formal training in management and hospitality as well has how to conduct yourself professionally as a staff and as management. On another note, one of the other families in my party was checked into their room and when they put the key in the door and entered the room, the previous guest was still in bed... Wait but it gets better. After all the horror that we experienced up to this point while staying at this horrible hotel, on that Sunday morning, unfortunately a guest was found dead/unresponsive in his room and police and ambulances raced to the hotel and our 10 yr old players had to witness the passing of someone in the hotel and being rolled out on a stretcher. Now I know the last part is no way the fault of the hotel or its staff but at that point I was like what else could possibly go wrong at this Best Western Goodman Inn & Suites in Horn Lake, Mississippi. Do Not Stay Here... Again I repeat... Do Not Stay Here... Trust me! I did read some of the reviews prior to my stay, and I figured that some of the negative reviews that I read were probably a little farfetched. Come to find out those reviews were dead on( no pun intended). I will never in my life stay at another Best Western Hotel! Thanks B.W. and Panda for a wonderful experience! The hotel was clean and the room size was good, but no furniture in the room except the bed and desk. No where to sit down and relax, quality was lacking for the price. We were passing through going home after vacation, but I would not stay here again if in the same area. "Ok, but have stayed at better BW Plus"
For an overnight stay, this was a clean hotel. They bed was high for me to get in and out of, but was fine for my husband. It was comfortable once in it though. Breakfast was below average. Neither of us like the sausage. Internet worked well. "Always a great pleace to stay"
I stay here several times throughout the year and I have never been disappointed. The staff is extremely nice and knowledgeable. The rooms are HUGE and always clean. 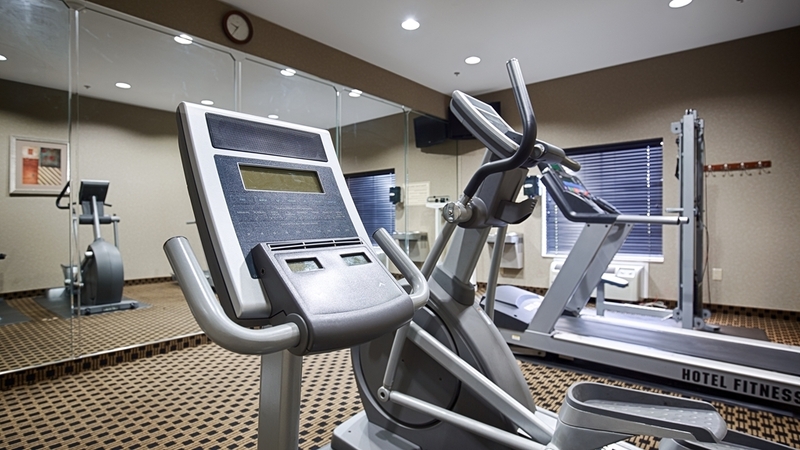 This visit I used the fitness room and it was one of the best I've used at a hotel. This Hotel Was Wonderful & Great Place Too Stay. Everyone Was So Good To Us While We Werte Here. The Breakfast Was So So Good. I Can't Say Enought About This Hotel. Everyone Was So Helpful And Nice. This Is A Great Place To Stay If You're Visiting Memphis Only 14-Miles From This Location. Great hotel tucked back of the main road. Quite location though. But you still hear the airplanes flying into Memphis. Staff was helpful and pleasant to deal with. Room was clean and everything worked as it should. Reasonable rates for the area. I wish Best Western would improve their online registration process. My room was really clean and smelled really good. Even down the hallway. Saw a couple new faces and they are doing a fine job. All other amenities were up to standard as usual. I always enjoy my stay there. "best place I ever stay at"
All staff members we delt with were very friendly. Rooms were clean but cleaning crew did not refill toilet paper, coffee or empty garbage cans in room. Had a dirty towel. Breakfast was good, nice variety. Hot tub was green & cold. Yuk. We only stayed overnight, but checkin was easy, staff was super friendly and, most importantly, the room was clean! Beds are comfortable and halls fairly quiet. Overall great stay and will be back if in the area. I can't tell you how nice it is to in to a hotel and find it and the rooms comfortable and inciting. Keep up the good work! Easy to park our car outside the hotel. The receptionist very warm and friendly. The foyer very clean and welcoming. The corridor to our room also clean and well decorated. Our room was a good size for a family of three. Sadly not as clean as the sign in the bathroom suggested? The room is quite dark and as the bedside lamp was not working I had to move the bed side table and yuk the dirt was not a pleasant sight . The toilet also very strange as the loo seat did not fit the loo ? Also could have done with a more thorough clean. Sorry if I am being picky but the sign in the bathroom did say room cleaned to a high standard ? The air condition which was very cold was difficult to change a comfortable temperature ? The breakfast was a pleasant surprise as it was clean and inviting and my favourite was making fresh waffles. "Best Western Horn Lake, MS"
This is a nice hotel and I stay here when traveling to and from Louisiana. However, it is a ways in off the interstate - I55. It is tucked back in off the main roadway. They have an indoor pool, hot breakfast, wi-fi and business center. There are several restaurants to choose from and several are within walking distance. Staff is always friendly. 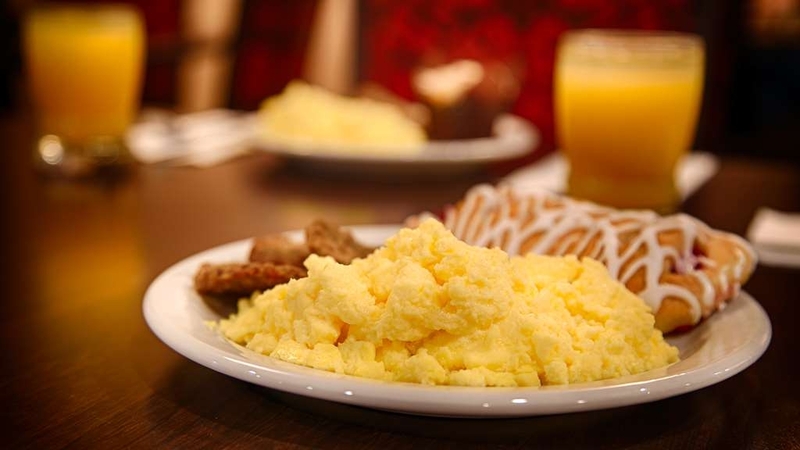 From positive reviews on internet was expecting great breakfast and comfortable, clean stay. Breakfast was huge disappointment as supplies ran out and were not replenished. Maid service slow and had to find crew in hall and ask for towels. Staff seemed frustrated with youth group in hotel. As were other guests. Staff also complained to me that they were short handed over weekend with employees calling out. NOT my problem! I would like to offer my sincerest apologies for your stay not meeting your expectations. Could you please connect with me at [email protected] to address the problems that you had during your stay. Thank you and I look forward to hearing from you. It was so awesome and nice and some of the staff a girl Paula brought us extra pillows and we got to talk to her she was so nice and the jacuzzi was nice except the bubbles didn't work but overall it was a very pleasant visit and I will be back very soon! Thank you for your wonderful review. We are pleased to hear that you enjoyed your stay. We look forward to seeing you in the near future. "I loved My Stay Here !" when I first booked this hotel I thought it was a motel but it was FAR from a motel ! this has to be one of the most beautiful and affordable hotels ive been to in a long while. my room was clean and spacious and employees were wonderful. Valorie at the front desk was even so kind to come up and help me with my tv, which a simple fix. I will be staying here again they get two thumbs up from me. GREAT HOTEL! Connie is awesome . I always love my stay here. Very nice and happy crew. Thanks Connie. Very professional . Great breakfast . Nice rooms, greet bar , very very nice atmosphere. Nice spa room . Nice had a problem here best hotel I have stay in ever . Always available when I want a break. I would recommend them to family and friends.?????????????? This hotel was a nice hotel. The staff is what made the difference. I had been traveling for work. Connie was so nice and accommodating to me! I am grateful for her and my stay was phenomenal because of her! we had some problems with house keeping. they never cleaned our room. other than that our stay was wonderful and Kevin went out of his way to make the housekeeping issues right. Kevin is Awesome and I will be back just because of his service and caring attitude. Thank you so much for taking the time to do a review for us. We appreciate your business and your feedback. I am concerned about the housekeeping issue that you incurred while you were here, could you please email me at [email protected] so that I can get some questions answered on this matter. We are pleased to hear that you enjoyed the rest of your stay. We look forward to seeing you in the near future. We stay at this hotel every time we are in the Memphis area. The staff is very friendly and eager help in any way they can. We would not consider staying anywhere else. The rooms are very clean and the entire hotel is kept in good order, including the dining area and restrooms. We stay here frequently and have no complaints about this hotel at all. Thank you for your wonderful review. We are so pleased to hear that you enjoyed your stay with us and that you enjoy it overtime that you are here. We look forward to seeing you again. "Very nice hotel close to Memphis"
We were on our way through Memphis on New Years Eve and needed a place to stay. There was nothing available in Memphis because of the celebrations and so we chose this place which is really just about 10 miles south of Memphis. You would hardly know, however, because we just got off Hwy 30 onto Hwy 55 and in about 10 minutes we were there. Lots of places around to eat at and the staff was VERY friendly. I would definitely stay here again if I was traveling through. Thank you so much for your wonderful review. We are pleased to hear that you enjoyed your stay and that you loved the amenities and area. We hope that you chose to stay with us again in the near future. We stayed here on a trip to Memphis & it was great! We booked 3 months in advance & didn't know what to expect. We booked our entire trip thru Orbitz which included airflight & car rental. Mom & I flew from California @ 5:30am & arrived @ Memphis airport by 1:30pm with absolutely no complaints. 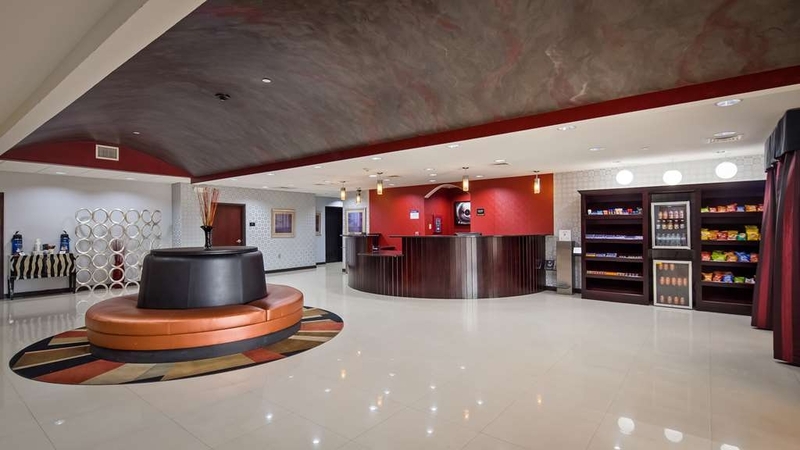 This hotel is not a far drive from the airport, restaurants, shopping & attractions. The customer service I received was superior. Everyone was friendly & waiting to answer any questions. It was a good feeling to know everyone cares. This hotel seemed like they had enough parking for everyone so that isn't something to worry about. Great breakfast bar every morning with plenty for everyone. Fresh coffee, toast, waffles, sausage, bacon & eggs, biscuit & gravy & juice. 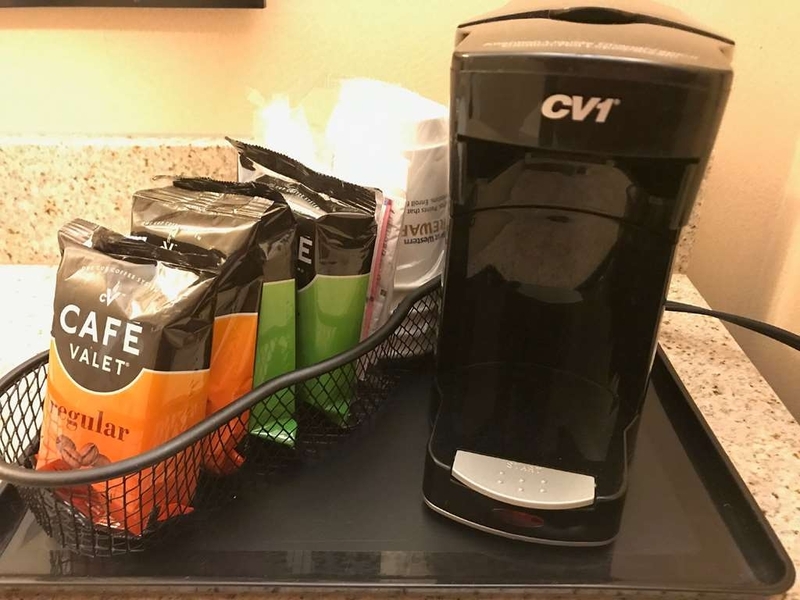 Our room even had a coffee maker to brew fresh coffee or tea. We had a lil microwave which we popped pop corn, plenty of hot water, clean towels & two cozy queen beds & extra blankets. Tv worked great. We needed to notify staff of a light bulb change & tv changer not working. Every now & then I heard footsteps upstairs & laughter thru the walls... no big deal! One evening while we sat inside our room for dinner, I wanted to test the alarm clock to make sure it was working. So, I set the alarm & it went off about 4:30pm so I pushed the snooze button while we ate our meal. Then, a louder alarm went off ... really ear piercing, which I thought was a second "wake-up" alarm but it turned out to be the fire alarm inside our room. I picked up the phone to call the front desk... and they let me know to leave the building, so we did. When I went out into the hall flashing lights (like a strobe light) and loud piercing alarm sounded and I saw one of the staff knocking on the door to let people know to leave the building. Mom & I pushed the elevator button but it seemed to take longer so we used the stairs to the parking lot & stood outside with other hotel guest, while fire trucks and ambulance and staff searched the premisis. We were able to go back to our room after 20 minutes but I couldn't finish my meal after all the excitement. I guess this was a fire drill. The entire time I thought it was an extra "LOUD" alarm or "we" set off the alarm with our lasagna cooking in the microwave. This was an experience for us. Amazing staff, they car about their guests. Good to know we can make it our safe. We really enjoyed our stay @ Lake Horn Best Western & I'll be staying here whenever in the area again. Thank you. Hi June, Thank you so much for your wonderful review and thank you so much for being so understanding of the fire alarm. I am very sorry that you had to experience the fire alarm going off but sometimes things are beyond our control but our staff is trained in making sure that if their is a fire alarm, the first important thing is the safety of our guest until we can clear the hotel and make sure that everything is okay. We are so happy that you enjoyed everything else about your stay and we look forward to seeing you in the future. My husband and I stayed in here when we were in town to participate in the St. Jude marathon in Memphis. We arrived sometime b/t 10 and 10:30 pm. There was a young lady at the front desk. There was also a young man standing at the front desk who I believe was specifically there to see her. There was a lone car parked under the overhang at the entrance that had local tags. It became quite apparent that we were an interruption and that she was far more interested in getting back to her conversation. She asked for a credit card and ID. She asked if we had ever stayed there before. And she said "Ok, you're checked in" as she handed us our room key. There was no information to follow. Not what room we were in and where in the hotel it was located, no information on breakfast --where it was served or what time, no wifi password (I ended up calling the front desk to ask for it). She was friendly enough but the customer should be more important that flirting. The hotel was clean. But not very soundproof. The beds are fairly comfortable. I would consider staying here again although I would be more apt to try another of the many hotels at this location. Dear Value Guest, I would like to apologize for your horrible experience at check in. I have spoke to the front desk agent about you experience and she has been reprimanded. I assure you that this will not be a problem again. We hope that you will consider giving us another chance when you are in the metro Memphis area. I recently stayed at a Best Western just outside of Niagara Falls in Canada, which was very good and was the deciding factor to stay here while I visited family in Memphis. The good, the room , it was clean and the beds comfortable. The room was spacious and quiet. The bad, the breakfast.... I'm used to the scrambled eggs , sausage , maybe potatoes and waffles or pancakes. Which was what they offered. But the food was rather tasteless , the sausages were greasy.... Just not good to me... My Mother was with me and she said it gave her the runs... Granted we were in late the first day we stayed , so we did not get any cleaning service, but the next day we asked the lady to give us about a half hour and come back. Well that didn't happen that day or the next. Three nights with no cleaning service is a bit much. There is some sign of wear and you can tell folks are dripping wet when they come from the pool. I have not given up on Best Western , but this one was just not as good as the one I stayed in previously. Thank you for taking the time out to give us a review. I would like to speak to you more about your stay and what could have been better with breakfast. I am always looking for ways to make our breakfast better. I have also spoken to our housekeeping manager about the problems that you incurred with housekeeping and she will be retraining the housekeepers that are still here from when you stayed. I am so sorry that your stay was not an excellent one and we hope that you will consider giving us another chance whenever in the metro Memphis area. Please email me at [email protected] with suggestions on changing the breakfast from just an okay breakfast to a wow one. The night clerk was very friendly the place smelt very clean and inviting. Never stayed in a handy cap room that was not on the ground floor. Elevator had no inspection certificate, had a hard time keeping door open to get 4 adults ( 1 in wheelchair) and luggage in and then made all kinds of noises as we were going up. The room was very clean and large with ample room to move around in could of had bigger beds but were comfy. We have stayed at this hotel twice when we had early morning flights out of Memphis international airport. It is comfortable, clean and good value. It is our first choice because of price and convenience when flying out of Memphis. Hope nothing changes as it gets older! This was our third time staying at this property......all three times from hotwire bids. As I have argued with hotwire, this is NOT a 3 star property! The rooms are nice enough and comfortable. The only real issue this stay, in our room, was the deadbolt would not engage. Our biggest disappointment was the condition of the pool/hot tub. The pool was cloudy and the hot tub cold and not in service. I would have appreciated being informed at check-in, rather than going to the trouble to change and come back down to the pool. Attention to detail is definitely lacking in this property. "Great Hotel South of Memphis"
A great hotel to stay in. Clean and nicely decorated. They have a great staff that does a good job of taking care of you. The rooms are quiet and comfy with good beds and great showers. They have a nice pool area and a solid breakfast for a hotel. I travel 60+ days a year and this was a great find. I was there for 14 days. "Although sad ocassion ,had a great hotel stay"
My husband and i had a great stay. All of the family that came into town ,stayed as well. The location is a perfect spot for all the scenery. I would definitely recommend it to my friends . And when i visiting ,I will definitely stay again. The staff was amazing and went above and beyond ,great customer service. Youngest kid had a baseball tourney in nearby Southaven, so the Team Mom blocked off rooms here for six days. During our entire visit, our room was cleaned three times. They are seriously understaffed! I'm not one of those eco-friendly types when it comes to reusing washcloths and towels. I pay for the room per day, I want fresh towels daily. It becomes much more important when traveling with family. I've got a teenager and the 9y/o was playing baseball. Do you really think I'm trying to reuse a towel that they've used? After asking for fresh towels two days in a row, and being told, "sorry, we're out and are washing them now" and still not getting them, I said forget it and went to purchase some at Wal-Mart. That's a fun project to do while on vacation! To their credit, the staff that was there was very friendly and were trying their best. Management or owners need to pick up their game though. Saving grace was a decent breakfast bar and an indoor pool for the kids. Checked in looked new but found out hotel is 6 years old, hotel appears to have gone through a recent facelift. Hallways smell like paint or wallpaper glue the lobby was being saturated with a commercial generic spray bottle air freshener that was way to strong. Get to room the King "Spa" suite. Looks nothing like the picture on the hotels website the main room is ok but the jetted tub is stuffed off in a corner where it doesn't even look like its there when you walk in. Random stains on the floor damage to the walls and ceiling shower curtain covered in calk from new bathroom tile, tile grout has more open cracks then the grand canyon and then there is the HUGE gash in the carpet as you walk in the door to the room. Then there is the tiny pillows. 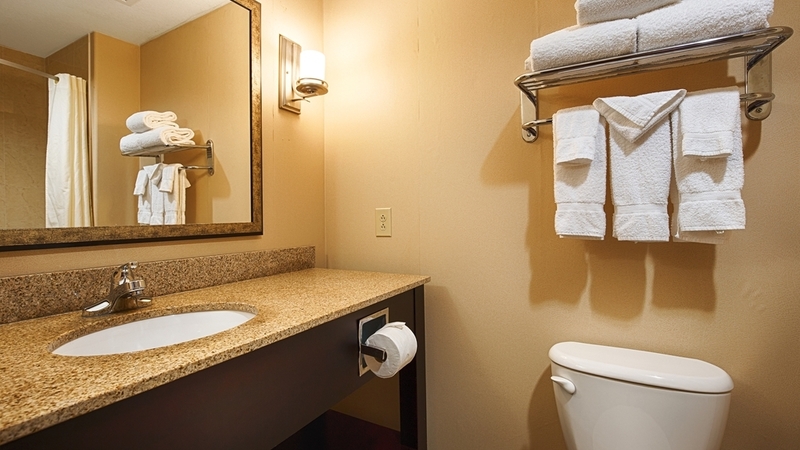 "Best Western PLUS Goodman Inn & Suites"
Very happy with the quality of service and cleanliness of the room. It was however very noisy, not really the fault of the hotel though. We did have some unexpected fees at checkout around $20.00 above our quoted price. The breakfast was standard for most hotels, not really very good. We would however stay again, because overall we were satisfied with the overall service provided. Dear Valued Guest, Thank you for doing a review of your stay. We value the feedback that we get from guest and use it to try to make our facility better. I am so happy to hear that you were happy with your stay and accommodations. I do apologize about the noise that you incurred during your stay. I would love for you to contact me at [email protected] and let me know what we could dot make breakfast spectacular. We are always looking for new ideas on making the breakfast great. I look forward to speaking with you. 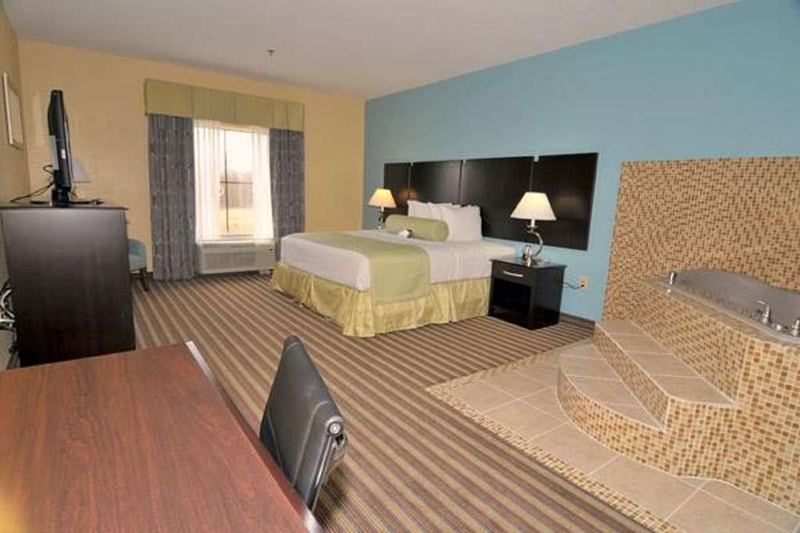 Hotel great all up to date,room clean,safe bed nice and comfortable and staff was outstanding room had microwave and refrigerator, bathroom clean.Many Restaurant around, easy on easy off freeway only a few min to downtown Memphis. Great stay!!! Thank you for this outstanding review of your stay. We are very pleased to hear that you enjoyed your stay. We look forward to seeing you in the near future. Except we were able to hear people walking above us, which was very disturbing while trying to sleep. The breakfast room was average and I have had better food at other Best Westerns. The door the cabinet was kept closed with a piece of folded paper. I arrived shortly after 7PM on Saturday, September 6, 2015. I did not have a reservation (as this was unanticipated stay), but the front desk clerk informed me that they did have vacancies. Since I was traveling alone, I requested a Queen room. They have only King suites or Queen double rooms to choose from. Upon entering my room, everything seemed fine. I unpacked and started to get comfortable. As I opened the fridge to store my food that I'd picked up on the way to the hotel, I noticed that the refrigerator did not work. I called the front desk and she offered to move me to a King suite (second room). I packed my things and moved to the 2nd room. Guess what? The thermostat did not work. I was AGAIN moved...THIRD room. The air did not work there either! Not only did it NOT work, it temperature was going up. It was initially 78 degrees and by the time I left the room, it had increased to 81 degrees and climbing. I asked the clerk to call the manager since no maintenance personel was on staff. She told me that they had no other rooms available and I could either find another hotel and they could refund my money. I asked if they could "comp" my room due to the inconvenience and was told NO! The clerk said that she could not do anything as she was given that info by their General Manger (Shenekia Givens). At 10:05 PM, a FEMALE TRAVELING ALONE, I packed up my things and started to depart the property in search of a suitable hotel room (which thankfully, I found). HORRIBLE CUSOTMER SERVICE!!! I have been in the Customer Service field for over 25 years, and I would NEVER treat a customer so poorly! I will NOT be staying at this location EVER again nor would I recommend it. I WILL be penning a letter to corporate to further detail this less than stellar (although it brief) hotel stay! VERY DISAPPOINTED! Thank you for your review. Please refer to your email that we had discussed this in.